Not sure what to do for Father’s Day, check out these suggestions. Click on the name of the business to be taken to our listing which will contain more information and contact details for bookings or inquiries. 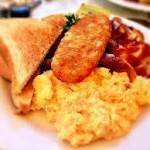 Soul Food Community Cafe – The Soul Food Buffet Breakfast is the perf ect way to start the day. 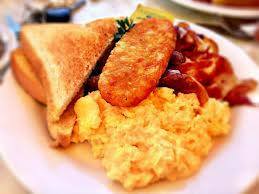 The breakfast runs from 8.30am -12.30pm and you probably won’t need lunch once you have your fill of the Bacon, Eggs, Hash browns, Mushrooms, Tomatoes, Baked Beans, Pancakes, Cereal & Toast that are included with the buffet. You can also order other items if the Buffet is not your thing. 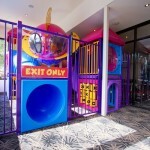 Don’t forget the great kids play area that Soul Foods also has. Hampstead Hotel – The Hampstead is a lovely place for lunch or dinner and this Father’s Day Dad will be treated to a FREE schooner of Beer on arrival. All Dad’s will also receive a ticket in the lucky door prize – a Dad’s Hamper full of goodies! The Hampstead also has a few toys and coloring in to entertain the kids. Willaston Hotel – Enjoy lunch or dinner in the bistro with full bistro me nu available plus some special “Man sized Meals” that Dad will love, specials will be available for both Lunch and dinner. The Willaston has a great indoor play area to keep the kids happy while Dad relaxes. Eureka Tavern – Open for lunch and dinner with their full a-la-carte menu available including their famous range of schnitzels! 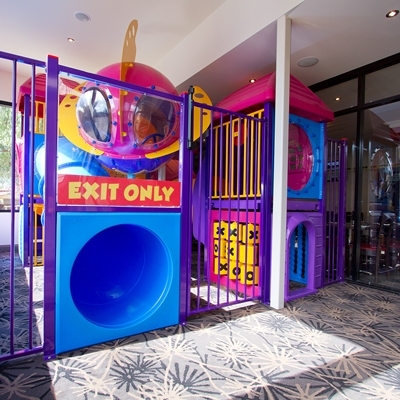 The kids will love the play area and everyone can enjoy the buffet salad and veg bar with their meals too. Waterloo Station Hotel – Enjoy lunch or Dinner at the Waterloo this Father’s Day and Dad will receive a FREE Schooner of Beer! You can also take advantage of the Father’s Day special of a 400g rump steak with a 300ml crown lager for $29.95. There’s an outdoor playground so make sure you take a jacket for your kids so they can burn off some energy! Platform 1 – Win your Dad a Train Driver experience this Fathers Day. Visit Platform 1 Heritage Farm Railway this Father’s Day on Sunday 4th September and enter the draw. 1 lucky Dad will be trained (excuse the pun!) to drive ‘Suzie’ and be ready to drive this family around the train track. Monster Jam: One of the bigges t family shows, Monster Jam® is heading back to Australia bringing its big trucks and high-powered vehicles including some familiar favourites plus up to five brand new trucks and drivers. With even more super-charged moto-tainment providing a unique sensory experience like no other. You can catch the show in Adelaide on Saturday 15th October at 7pm (pits open 2pm-6pm), Adelaide Oval. AFL Grand Final Live in Botanic Park, Adelaide: Botanic Park will offer a whole new way to revel in the 2016 Toyota AFL Grand Final – with fans, footy, food and a fantastic concert to end a spectacular day of celebrating the biggest Saturday afternoon on the Aussie sporting calendar. 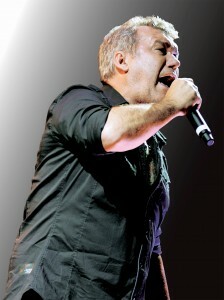 Entertainment includes Jimmy Barnes, The Angels, Footy Player appearances, Kids games and rides.